Understanding the history of Athens in the all important years of the second half of the fifth century B.C. is largely dependent on the work of the historian Thucydides. Previous scholarship has tended to view Thucydides' account as infallible. This book challenges that received wisdom, advancing original and controversial views of Thucydides' account of the Peloponnesian War; his misrepresentation of Alcibiades and Demosthenes; his relationship with Pericles; and his views on the Athenian Empire. 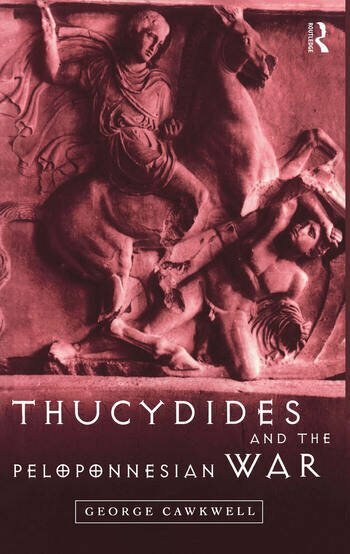 Cawkwell's comprehensive analysis of Thucydides and his historical writings is persuasive, erudite and an immensely valuable addition to the scholarship and criticism of a rich and popular period of Greek history. George Cawkwell arrived in Oxford in 1946 as a New Zealand Rhodes Scholar and, like the lotus-eaters, "forgot the way home". In 1949 he became a Fellow of University College, Oxford where he tutored in Ancient History until 1995. He is the author of Philip of Macedon (1978) and many articles in learned journals on the history of Greece from the eighth to the fourth century BC.